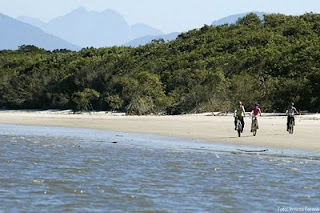 Lagamar, the coastal area between Paraná and São Paulo, is one of the natural highlights of Brazil. Besides having the largest contiguous areas of Atlantic Rainforest in the country, part of the World Biosphere Reserve, it has remote colonial towns, deep estuaries, mangroves, the Superagui National Park, deserted beaches, isolated islands and the unique culture of the caiçara people. Lagamar is perhaps the most amazing destination in Brazil for ecotourism and, despite being a must-see destination for all nature enthusiasts, is yet undiscovered. 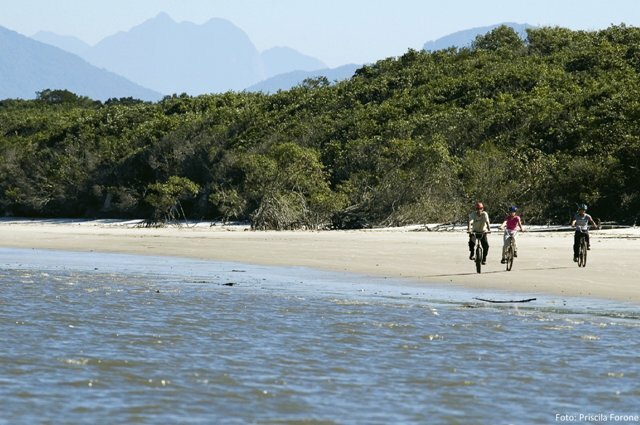 From the 3rd to the 6th June you will have the opportunity to explore the islands of Lagamar by bike, on a 4-day cycling trip from Curitiba, through Ilha do Mel, Ilha das Peças, Superagui and Ilha do Cardoso, already in Sao Paulo State. For those adventurous souls that can not make it on this occasion, Brazil Ecojourneys offers a year around 5 days expedition to the Lagamar, that will show you the best of this incredible region, starting with a stunning railway journey through the Serra do Mar mountains.